Welcome to our new website! We have a brand new look and have updated our database technology in an effort to better serve all our members. I am or my company is a current member of VAM and I would like to access my existing user account. My company is a current member, but I am new to VAM and need to create a new user account. I am an individual who would like to register for a new Individual, Consultant, Benefactor, or Student membership. This membership is only for me. I would like to register my company for a new Museum, Business, Business PLUS, or Leadership membership. Once registered, this membership will allow staff of my company to create new user accounts by following Option 2. 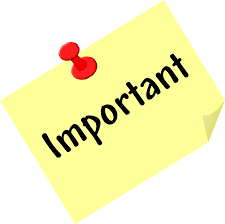 NOTE: It is possible that your account information is not in the new website and you will still need to create a new user account. If you do not receive an email and you are certain that you or your company has an existing membership, please refer to the steps in Option 2. Follow the prompts to create your user account. Select the member type that best applies to the new membership you are registering for. Once you've come to the dues screen, pay by credit card or choose to be invoiced. Your membership application will be reviewed by the VAM team as soon as possible.